Product #35580 | SKU DR-CAML-MAX-B | 0.0 (no ratings yet) Thanks for your rating! 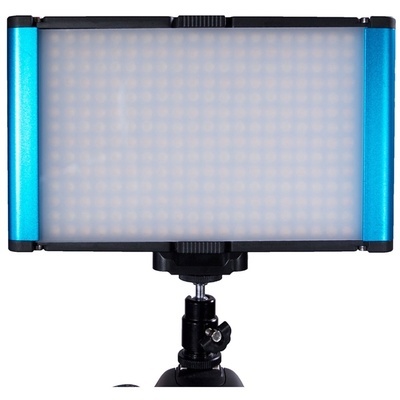 The Dracast Camlux Series Max On-Camera Light is a fixture that is fully enclosed in an anodized aluminium blue case. It features 300 LED's on the light board with a 45° flood beam angle.